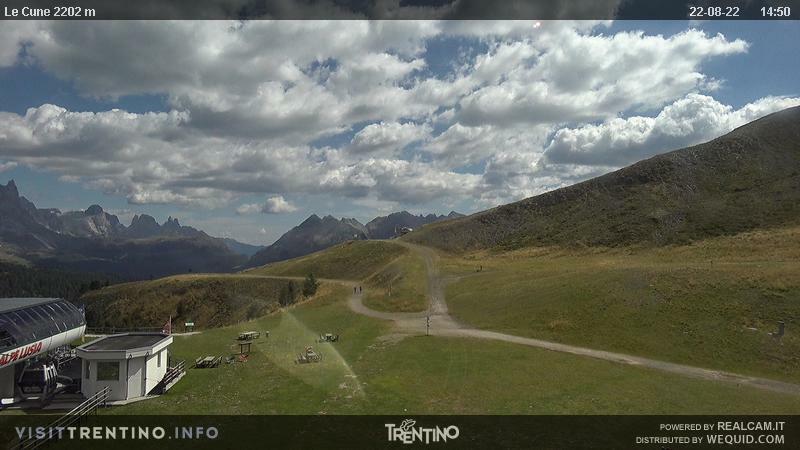 Lusia Alps Ski Area | Moena | Bellamonte | Trentino | Dolomites | Moena is known as the"Fairy of the Dolomites"
You are here The Lusia Alps Ski Area - Moena is known as the"Fairy of the Dolomites"
Moena is known as the"Fairy of the Dolomites"
At 1,184m above sea level, Moena is known as the"Fairy of the Dolomites"; a well loved holiday destination thanks to the wide variety of sport and outdoor activities available both in summer and winter. Work has been completed on the Moena ring-road which was opened in 2009 much to the satisfaction of local residents and tourists familiar with the long queues of traffic which used to form during high season. In winter, Moena offers enchanting skiing within the Dolomiti Superski area, which guarantees impeccable slopes for the whole season thanks to its snowmaking facilities. The Lusia Alps Ski Area, just 5 minutes from the centre of the town, is served by 8 new generation ski lifts. The slopes are suitable for all levels of skiers and cover 26km. Runs which can't be missed include the Fiamme Oro black run! The Alpe Lusia Ski Area is part of the wider “Tre Valli” ski area which includes Falcade, Passo San Pellegrino and Bellamonte, and is surrounded by the stunning scenery of the snow-covered Dolomites. There are lower-valley slopes for kids and exciting mountain descents. Access to the ski area is fast and comfortable with the Lusia-Valbona gondola lift, leaving from Ronchi – with ample parking – and from where you can enjoy a stunning view of the spires of the Dolomites, with the unmistakable outline of the Catinaccio-Rosengarten. Waiting to welcome you at the top is the well-known mountain hut, Chalet Valbona.